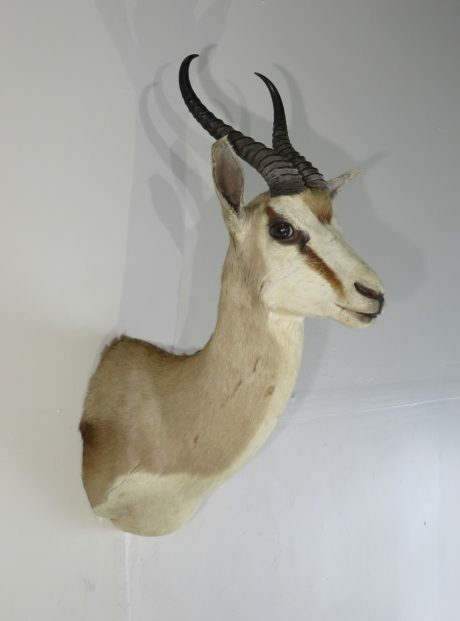 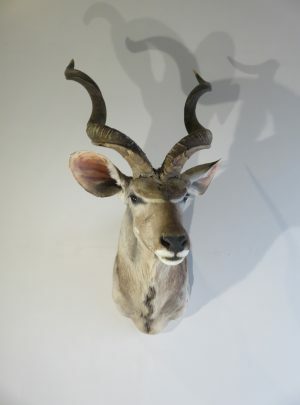 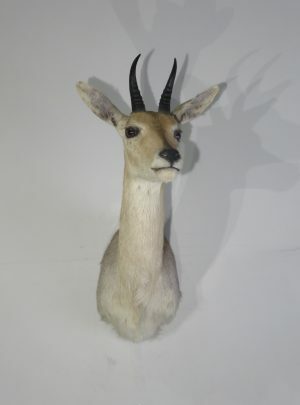 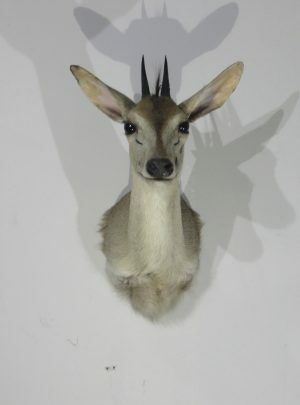 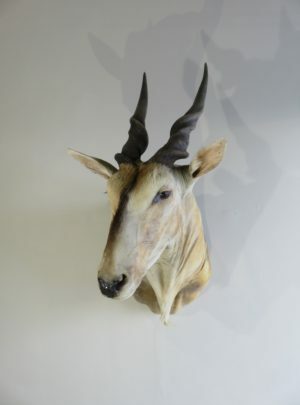 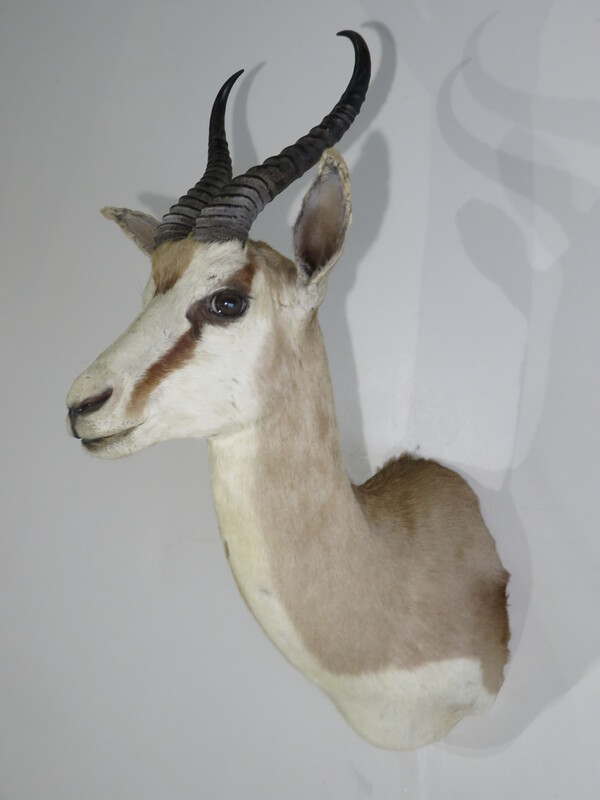 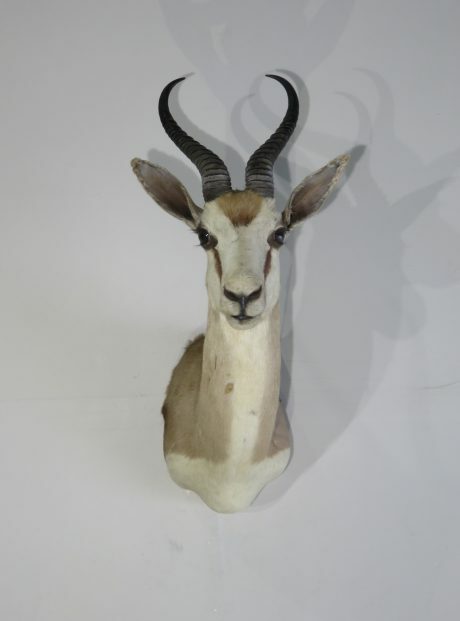 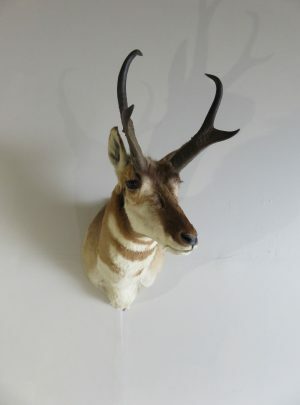 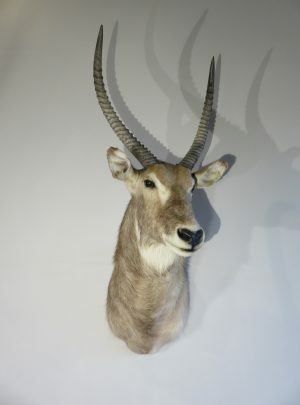 This African Springbok is a great item for the collection or as a stand alone exotic species item. 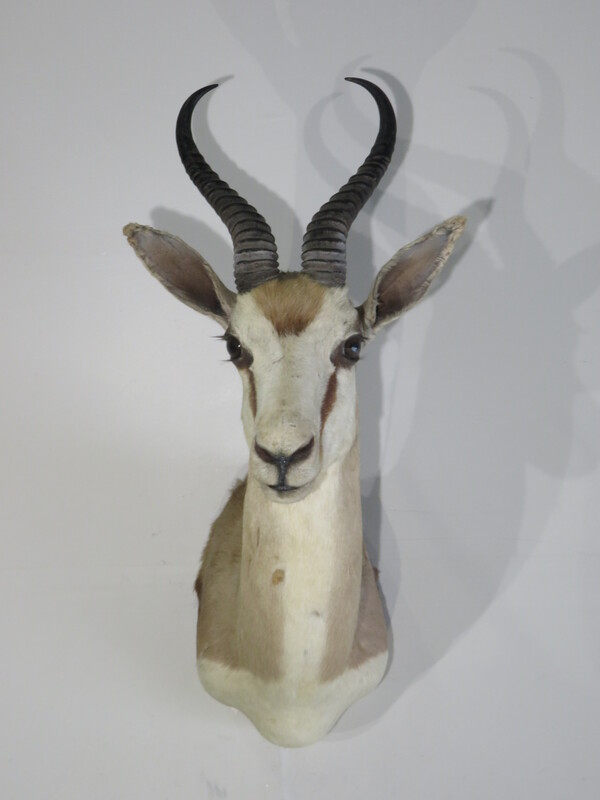 Here we have a shoulder mount that features the head up facing forward and slightly to his right. 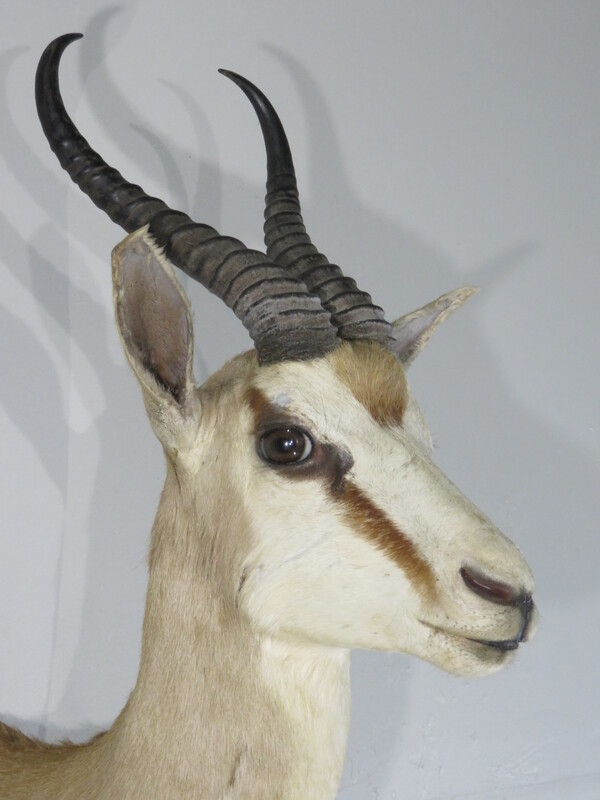 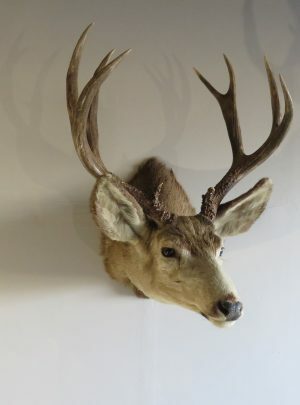 Nice coloring and good horn size make this a great piece for the collector looking for a good representation of the “Common” Springbok. 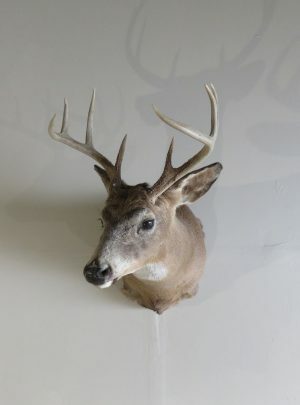 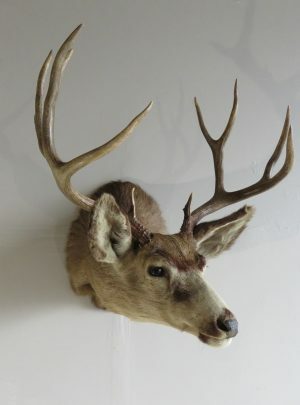 Overall mount dimensions are 19″ deep x 26″ tall x 13″ wide. 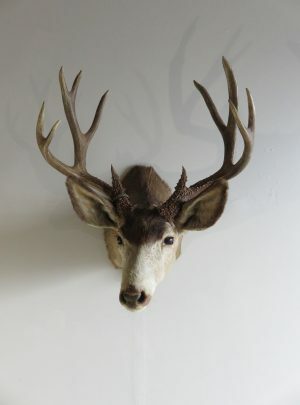 Mount is easily displayed on a single, well-secured screw. 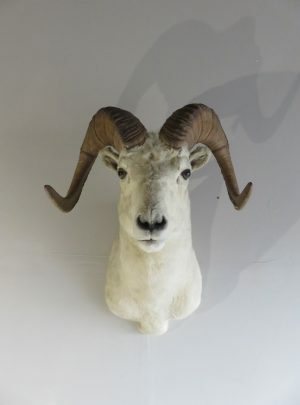 We have rated this item as “Nice”, due to slight ear damage that can be seen upon careful inspection. 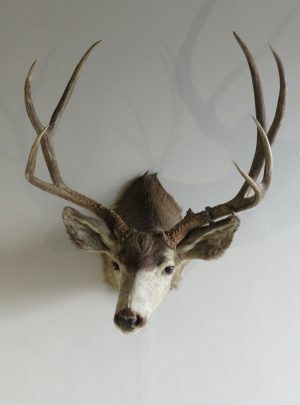 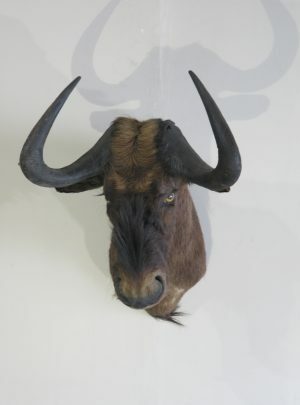 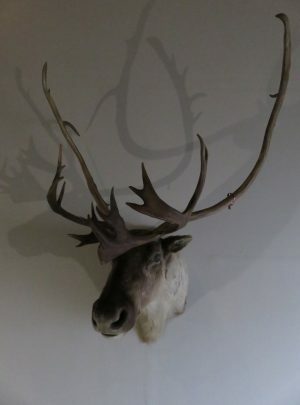 (see attached photos) Aside from this he is an excellent mount with good color contrast and hair thickness along with above average horn size.